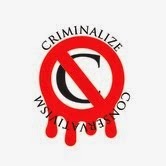 Criminalize Conservatism: Are You Ready For Another Bush In The White House? 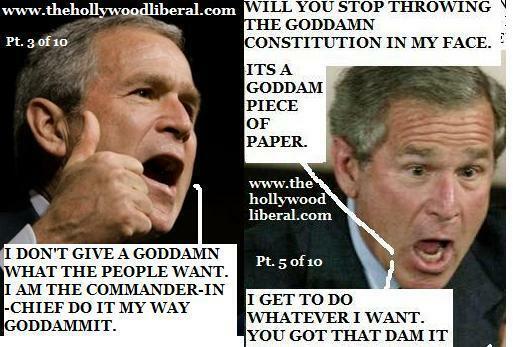 Are You Ready For Another Bush In The White House? Conservatives are big on brotherhood. There were the Hunt brothers, and now we have the Koch brothers and the Bush brothers. After 8 years under the worst president ever, is America ready for another Bush in the White House? Is he different than his pa and bro? Aren't we tired of fighting the eternal class warfare between the rich and the rest of us? "Karl Rove: Bush 'Was Briefed And Intimately Involved' Regarding Torture Decisions (VIDEO)." "In Karl Rove’s latest appearance on 'Fox News Sunday,' he discussed the use of enhanced interrogation tactics used by the CIA that were recently detailed in a Senate report. "Rove vehemently defended the use of such tactics as well as the decision to use them by President George W. Bush. He claims Bush knew all along what techniques were being used, and that the report which says he was in the dark and didn’t know what was going on is plainly incorrect. "Bush: "Wife meant to hide shopping spree from me." Mrs. Bush was given two chances to declare the correct amount of tax owed on her Paris purchases." "TALLAHASSEE -- Gov. Jeb Bush said Monday that his wife misled U.S. Customs officials about $19,000 in new clothing and jewelry she brought into the country because she didn't want him to know how much she had spent on her five-day Paris shopping trip. "Forced to explain his wife's actions at the Atlanta airport Thursday, Bush said Monday that the episode had disrupted their family life. His wife, Bush said, feels "horrible about this." "'It was a difficult weekend at our house,' Bush said..."
"Jeb Bush Plans To Run For President As Drug Dealing Charges Emerge." "The big news today that surprises no one is that Jeb Bush is seriously considering a run at the presidency in 2016. He says that he will launch an exploratory effort to test the waters, but that is a well known artifice that politicians commonly use to disguise or delay their true intentions. Bush has been hinting at running for some time and he is keenly aware that there will not be too many other opportunities. If he passes on 2016, and the next president serves two terms, Bush will be 70 before he could run again. "One of the reasons politicians seek to put off official announcements of candidacy is that they will begin take fire from all sides. Already the conservative wing of the GOP is lashing out against Bush. Another reason they delay announcing is that doing so brings on a whole new level of scrutiny. And Bush’s announcement has produced a perfect example of that risk. A report now circulating in conservative circles is questioning whether Bush was a drug user and dealer while attending prep school at Andover..."
"Ted Cruz Warns Picking Jeb In 2016 Means Hillary Becomes President." "In response to the news that former Florida Gov. Jeb Bush (R) had taken a big step toward running for president in 2016, Sen. Ted Cruz's (R-TX) response was a warning: if the right nominates a moderate Republican, Hillary Clinton will become president. "'If we nominate another candidate in the mold of a Bob Dole or a John McCain or a Mitt Romney — and let me be clear, all three of those men, they’re good men, they’re honorable men, they’re decent men, they’re men of character, they’re war heroes — but what they did didn’t work,' Cruz told Politico. 'It did not succeed. And if we nominate another candidate in that same mold, the same voters who stayed home in 2008 and 2012 will stay home in 2016, and Hillary Clinton is the next president...'"
"What to look for in Jeb Bush's 250,000 emails." "Jeb Bush has now announced that he is forming a political action committee and is going to explore a run for the presidency. This is big news because Bush can command attention, particularly of those who are interested in writing checks to presidential candidates. That means, at the very least, if you are one of the candidates still seriously thinking about running for president, you have to let those who you were courting know that they shouldn't fall in love with Bush just yet. Mitt Romney left the impression recently with one of his backers I talked to that he would not consider another run if Bush entered the race. "But perhaps the bigger news from Jeb Bush came this weekend, when he announced that he is releasing 250,000 emails from his two terms as Florida's governor..."
One of the questions some might ask is: If Dubya was found guilty of the most horrendous war crimes in American history, would Jeb pardon him? I think we know the answer. And what happens to crime families when justice prevails? I think we know the answer to that one too, the key word being "justice." It would be a lot better for the country and the world if we never let the Bush Crime Family get into office again...and better for all of us if we just criminalize Conservatism - Joyce, Jnr. also going to be one of his biggest assets."